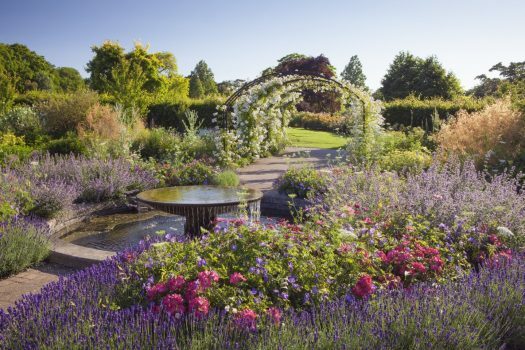 The magnificent gardens at RHS Wisley get a beautiful seasonal makeover once more in 2019. 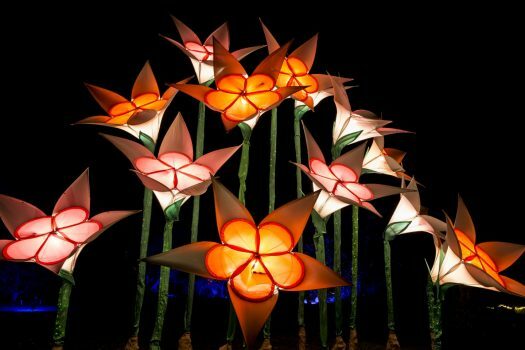 Come on a magical adventure, with fantastical flowers to light your way. Wander the enchanting trail to see spectacular light installations, a selection of Wisley’s iconic trees illuminated and floating lights creating rippling reflections. The event takes place from 7th December 2019 until 6th January 2020 and you will have a timed entrance ticket between 4pm and 8pm . You can also spend some time in the Gardens during the afternoon before you visit the Glow – at no additional charge. 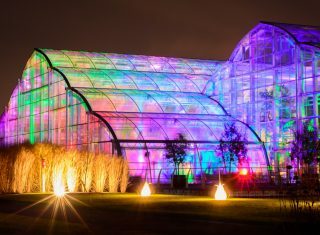 Come on a magical adventure at Wisley during Glow 2019, with fantastical flowers to light your way. 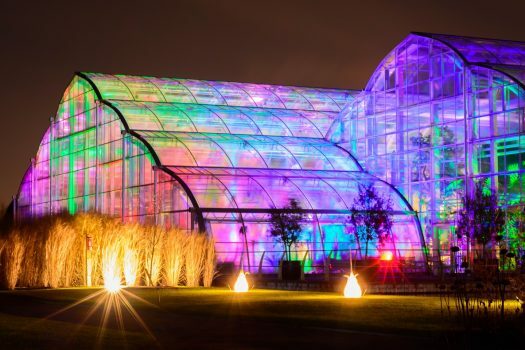 Wander the enchanting trail to see spectacular light installations, a selection of Wisley’s iconic trees illuminated and floating lights creating rippling reflections. Along the way, venture into the Woodland Realm inside The Glasshouse and don’t miss the spectacular view of the Laboratory and Jellicoe Canal as you near the end of the illuminated trail. 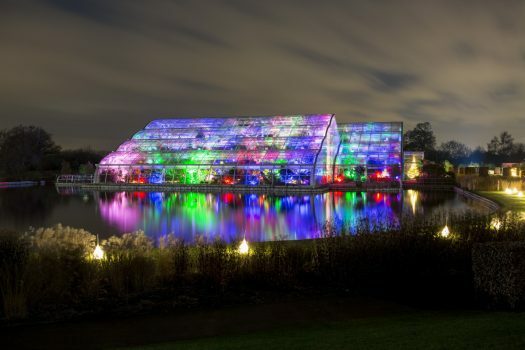 You can also visit the Plant Centre and Gift Shop – open late during Glow 2019 at Wisley. The Plant Centre will be showcasing the best of seasonal colour. From berried plants for the garden to attract wildlife, beautiful red Poinsettias for the home, through to glorious British-grown Christmas wreaths and trees, they will have everything you need for a traditional, glorious and colourful season. Discover a world of festive inspiration in our Gift and Book Shop. There is a wonderful range of unique, botanically-inspired tree decorations, exclusive Christmas cards, delicious food and drink, and everything else you could wish for over the Christmas period. Continue to your hotel for dinner and overnight. Enjoy a traditional English breakfast; you then have some free time to explore. We have lots of suggestions in the area for you. Take the short drive to Windsor, and maybe a visit to the Castle. 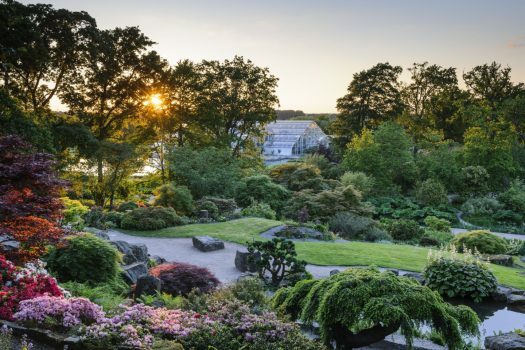 The Musical Museum at Kew Bridge offers a guided tour, organ recital and tea & biscuits, or continue the garden theme with a visit to Kew. We offer a selection of 3 and 4-star hotels in the area, including the Holiday Inn Shepperton, Novotel Brentford, Hilton Cobham, Hilton Croydon, Jury’s Inn Croydon, Hallmark Croydon, Crowne Plaza Hotel Heathrow, Copthorne Hotel Slough/Windsor and Holiday Inn London M4 J4. A single room supplement will apply and this varies between hotels – details on request. All prices are per person based on sharing a double or twin room and with a free place for the coach driver or group organiser in a single room, both are based on a minimum 25 full fare paying passengers. Prices do not include coach hire or travel insurance. Dates are subject to availability. Smaller groups can be quoted for on request. Pictures are for illustrative purposes only.